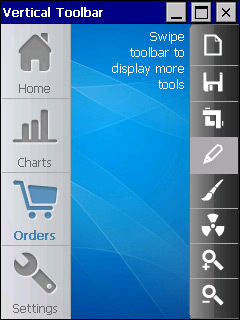 ToolBar is the perfect component to create a pane of tools in either a horizontal or vertical layout. 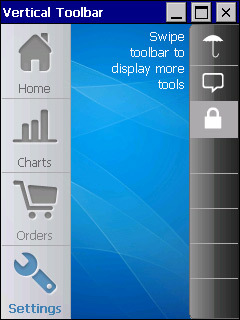 Each tool can contain a transparent png icon along with a text label. 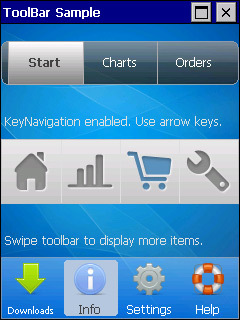 You can seamlessly finger-scroll through sets of tools displayed across a semi-transparent, gradient-filled background. 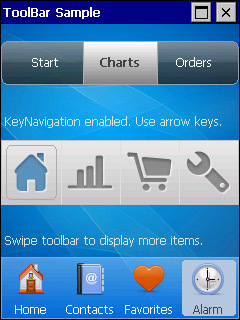 Save precious space on your display and give your users a finger-friendly experience with ToolBar.